Driven by Anglo American’s HSSE team, there was a need to report and share good examples of best practice and innovation to encourage ‘Zero harm’ throughout the business. Beach Design was tasked with encouraging nominations within 4 HSSE key categories of examples of best practice. 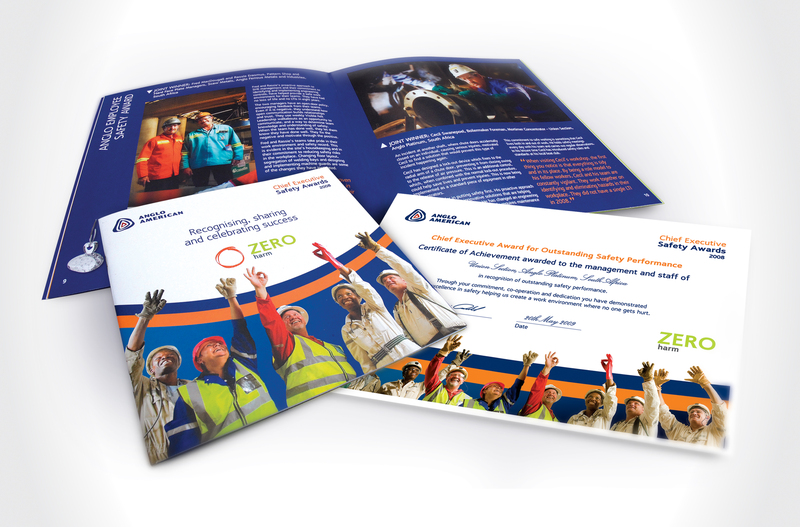 Coverage of stories was created, collated and reported via various printed and online media to include video, brochures and awards.